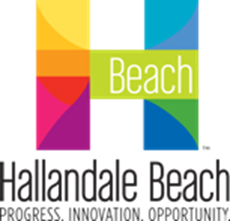 The City of Hallandale Beach has been a leader in identifying needs to improve the health and wellbeing of those who live, work, learn, play and retire in its community. As such, the City has been identified as a Healthy Community Zone through its work with the Broward Regional Health Planning Council’s Partnerships Transforming Our Community’s Health (TOUCH). Through the collaboration between the City and BRHP, with active involvement of residents, Hallandale can provide ways to improve the livability of the City through Community Action Plans that target the essential features of an Age-friendly City, including outdoor spaces and buildings, transportation, social unites communities and encourages positive lifestyle habits. The Department facilitates health screenings, health fairs and community forums to ensure that comprehensive services are available to residents. Food Stamps, Medicaid and Cash ASsistans in partnership with Department of Children and Families provides a convenient one-stop Center to apply for benefits. The Center operates a daily Senior Activity Center with a comprehensive schedule of services and activities are provided to enhance the ability of senior citizens to maintain independence, improve socialization skills, etc. Activities include: Arts and Crafts, Computer Classes, Music, Fitness Activites, Special Events and Nutrition Programs. Director of Human Services is also a Co-Team Lead with the Broward County Healthy Community Zone Initiative.